I’m at GUADEC! The conference has been great so far: a nice location, good organisation, interesting talks, and Czech beer. 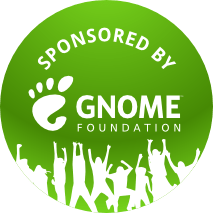 Thank you to the GNOME Foundation for sponsoring me. I’ll be giving a talk tomorrow (Saturday, 11:35, room E112) about testing online services. It’ll be a short presentation about some work I’ve started recently on mocking web services so that unit tests for client code can be run offline. This is an area with quite a lot of potential, and what I’ve done so far has only just scratched the surface, so if you’ve got ideas about this kind of thing, please come along and we can have a good discussion. Update: Thanks to all who attended the talk and gave their input. My slides are available online (and the source files are in the same directory). This entry was posted in GNOME and tagged GUADEC, libgdata, mock on August 2, 2013 by Philip Withnall.